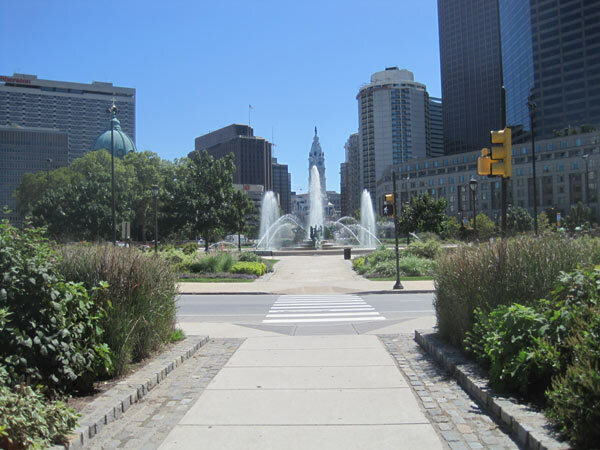 Originally a burial plot, pasturing ground, and place for public executions in the city, Northwest Square was one of five squares in William Penn's plan for the city. 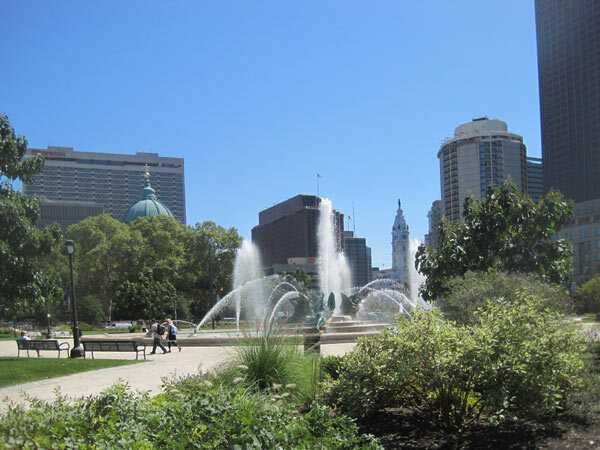 It was renamed in 1825 for James Logan, secretary to William Penn and chief justice to the Pennsylvania Supreme court. Over time the city began improving the area, planting trees and installing sidewalks and fencing. The site became a focal point in Jacques Gréber's Parkway plan of 1917. 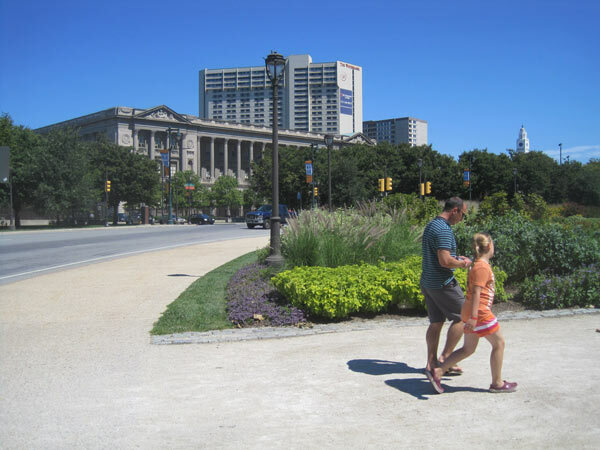 Inspired by the Place de la Concorde in Paris, Gréber designed a traffic circle for the Benjamin Franklin Parkway passing through the square and enlarged it to twelve acres, with formal gardens and a large monument in the center and more planting and seating on the perimeter. 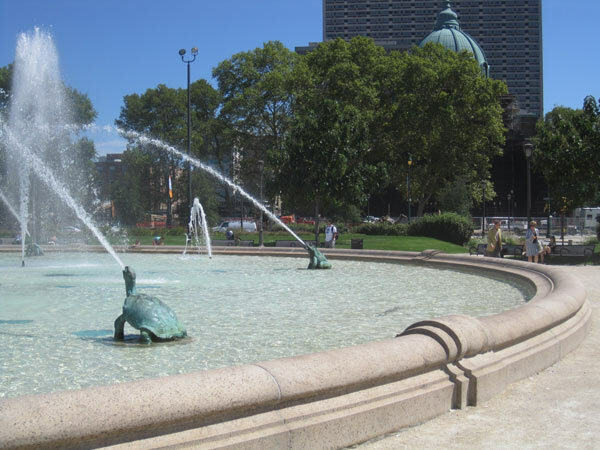 The centerpiece is a grand fountain called The Swann Memorial Fountain or The Fountain of the Three Rivers, and was designed by Wilson Eyre, Jr. and sculptor Alexander Stirling Calder. Calder’s three bronze Native American figures, representing the city’s major waterways, sit in the midst of Eyre’s large basin and dramatic arcing water jets. Gardens surround the fountain and the edges of the square, today planted with grasses, flowering shrubs, and colorful seasonal flowers. Deciduous shade trees, including sycamores and paulownia, are planted outside the circle, alongside numerous commemorative sculptures in the square’s corners, including Stirling Calder's Shakespeare Memorial, Charles Grafly’s General Galusha Pennypacker Memorial, Paul Manship’s Aero Memorial, and the Sister Cities Plaza. 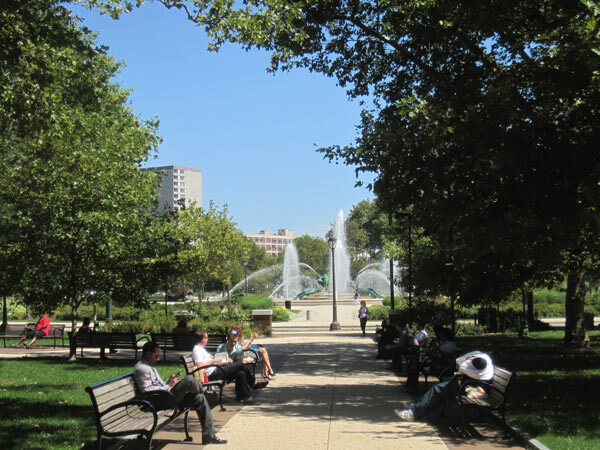 In 2007, Susan Weiler of OLIN led a revitalization of Logan Square, which was listed in the National Register of Historic Places in 1981.